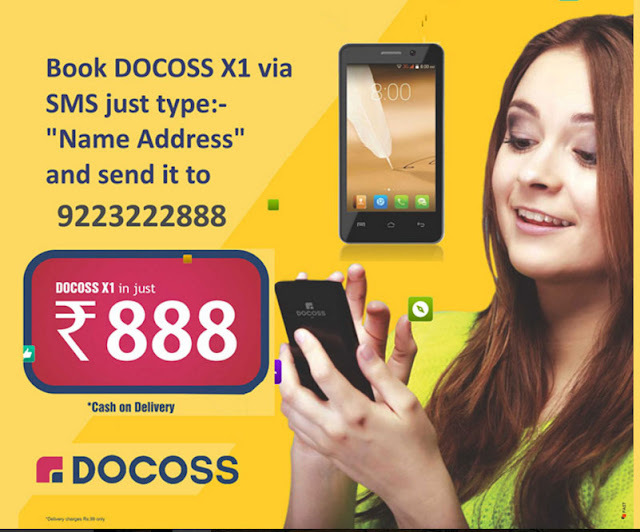 How to book DOCOSS X1 Smartphone Booking at Rs.888/-, Cheapest Smart Phone at Rs.888/-, DOCOSS X1 Smartphone Specifications. The Indian smartphone segment saw a buzz in February when Ringing Bells unveiled its Freedom 251 smartphone at an incredible price of Rs. 251. The smartphone made headlines for few weeks, and caught attention of the entire nation. The Freedom 251 from Noida-based start-up Ringing Bells however soon lost its sheen. The smartphone was surrounded by controversies that even lead to an FIR registered against the makers. The biggest highlight of the smartphone was its pricing rather than any specifications under the hood. The company received close to 60 million registrations in few days but after taking initial bookings for the handset, the Freedom 251 makers announced pre-booking money to be refunded to users and also confirmed that it would take cash on delivery, upon delivery. The first orders will be delivered in June. In terms of Specification DOCOSS X1 Smartphone comes with 4 inch IPS screen with 5 points touch capacitive screen and Dual-Core Cortex A7 1.2GHz Processor. The comes with 1 GB RAM with 4 GB Internal Memory (ROM). Its a Dual Sim Phone with 2G/3G network and Wifi support. 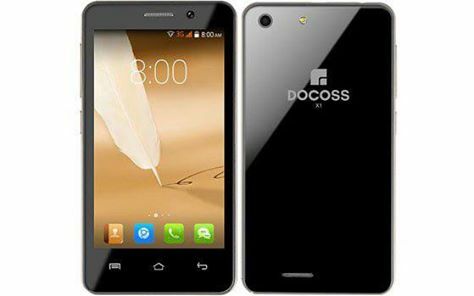 DOCOSS X1 Smartphone is equipped with 0.3MP Front Camera, 2.0MP Back Camera with flash light. The phone is running on Android 4.4 Kitkat. How to book by SMS?